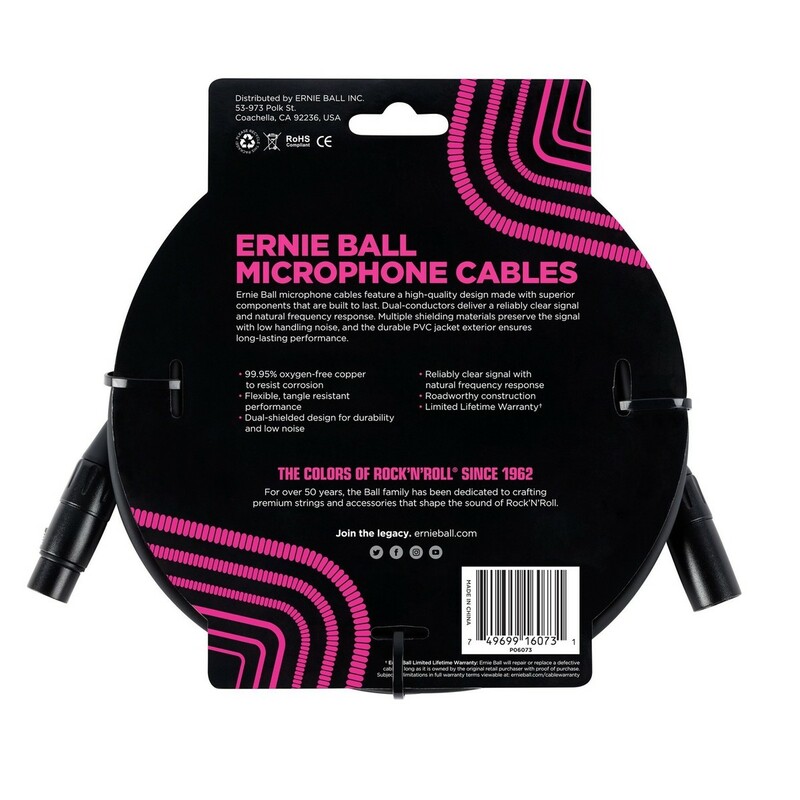 A cable that you can rely on for durability and ultra-clean sound. 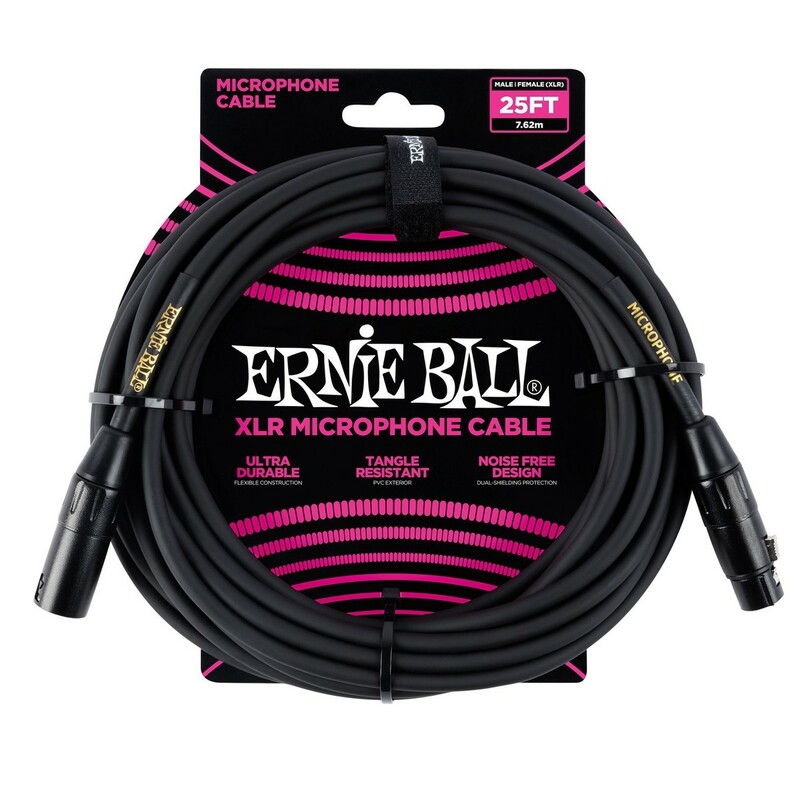 The Ernie Ball 25ft XLR Mic Cable, Black/Gold delivers incredibly transparent sound across the whole frequency range. It's also noise free thanks to dual shielding protection so you will always have the cleanest sound. It's durable and tangle resistant. You can count on it to last both in the studio and on stage, and what's also great is that it won't tangle, making it easy to pack away or set up.